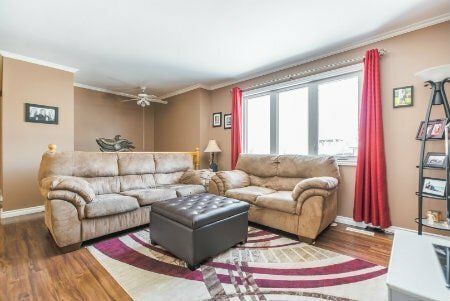 Browse the latest Mount Royal real estate listings in West Regina below! Mount Royal is located East of Campbell Street, South of 1st Avenue North, West of A.E Wilson Park and North of Dewdney Avenue and the RCMP Depot. A.E. Wilson Park has extensive pathways ideal for running, biking and walking. Mount Royal real estate makes for an ideal location for active families that enjoy the sporting amenities of this area. Search for the best Mount Royal homes for sale below, or read more about what makes this West Regina neighbourhood such a stand-out! Primarily Mount Royal homes for sale are comprised of single-family dwellings along with townhouse complexes that accommodate all family sizes and budgets. It is an easy commute to the RCMP Depot, the Global Transportation Hub, and a short drive to downtown Regina. Mount Royal is a community where you can start your life as a first-time home owner, raising a family in a stable community with an abundance to offer. Rick Hanson Park is an accessible, family friendly park with many play structures. Enjoy a picnic by the creek that meanders through this lovely area. The Jack Hamilton arena host hockey, ringette, broomball and public skating throughout the winter. Tennis courts located beside the Jack Hamilton Arena are open throughout the summer and a large soccer pitch can be found at the south end of A. E. Wilson Park. The Western College of Massage Therapy is located along McCarthy Boulevard and is one of the longest continually established training programs in the country, having provided training for Massage Therapy professionals since 1978. Mount Royal is located close to Luther College High School (Private), Martin Collegiate (Public High School), McLurg School (Public Elementary), Rosemont Community School (Public Elementary), and St. Francis Community School (Catholic Elementary). 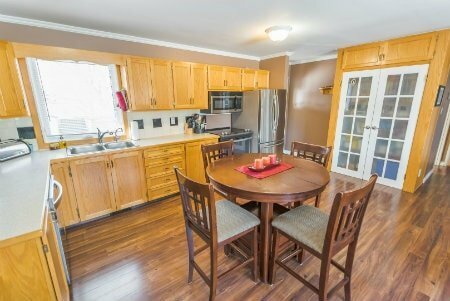 Interested in learning more about the Mount Royal homes for sale? Take a moment to contact the Tourney Group online or call 306-789-1700 and chat with an experienced, local Regina real estate professional.